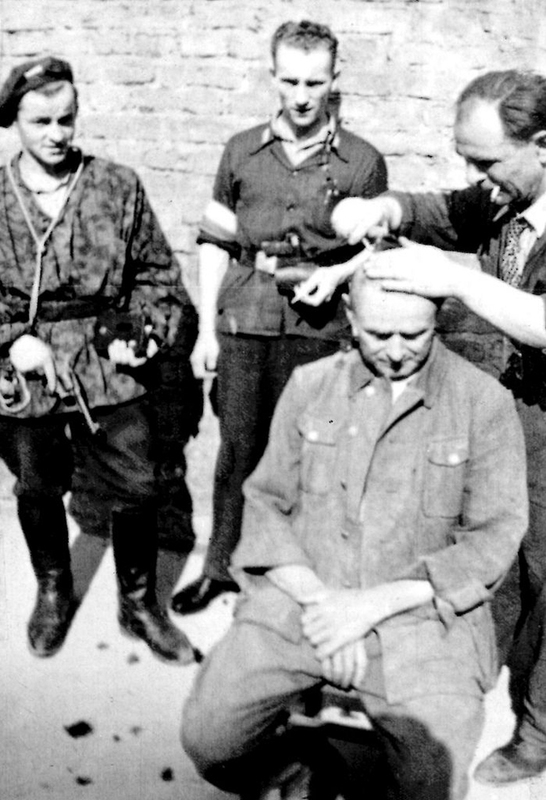 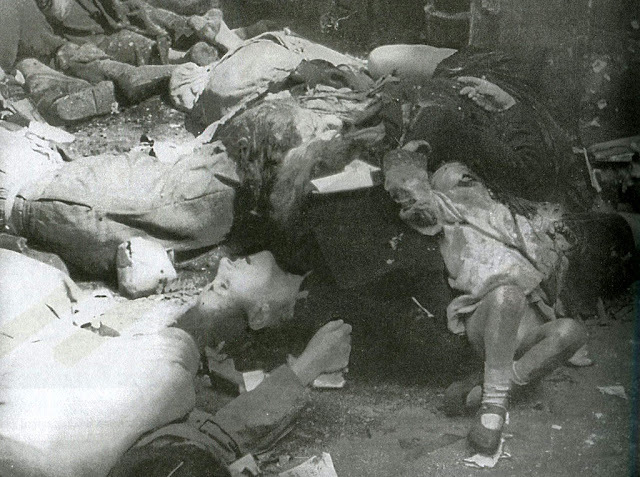 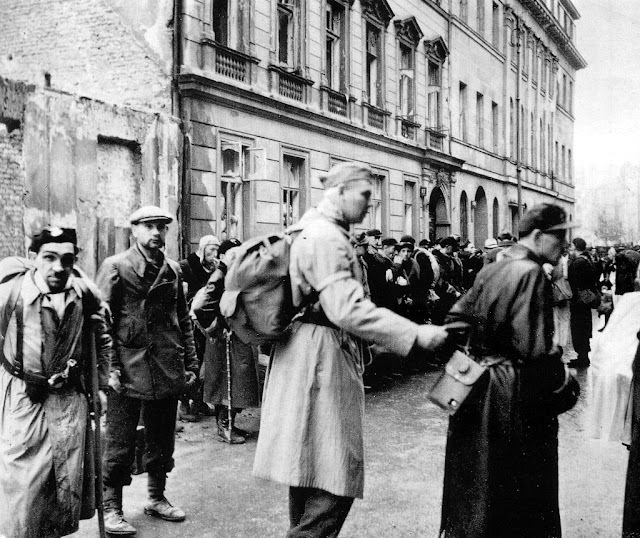 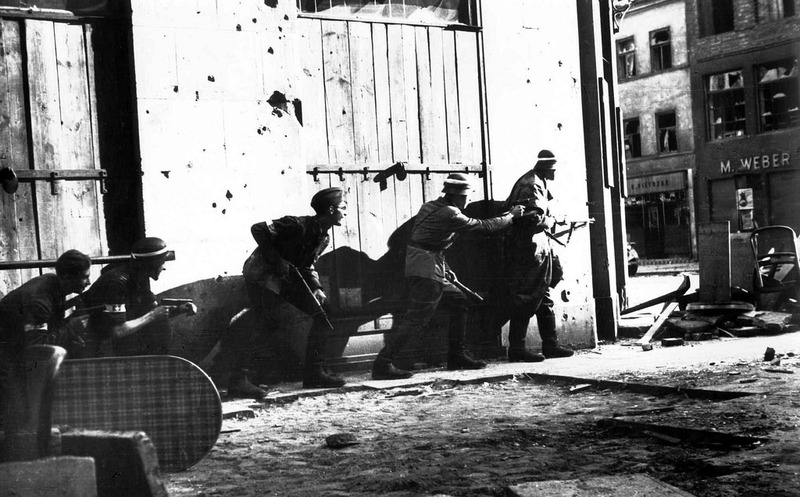 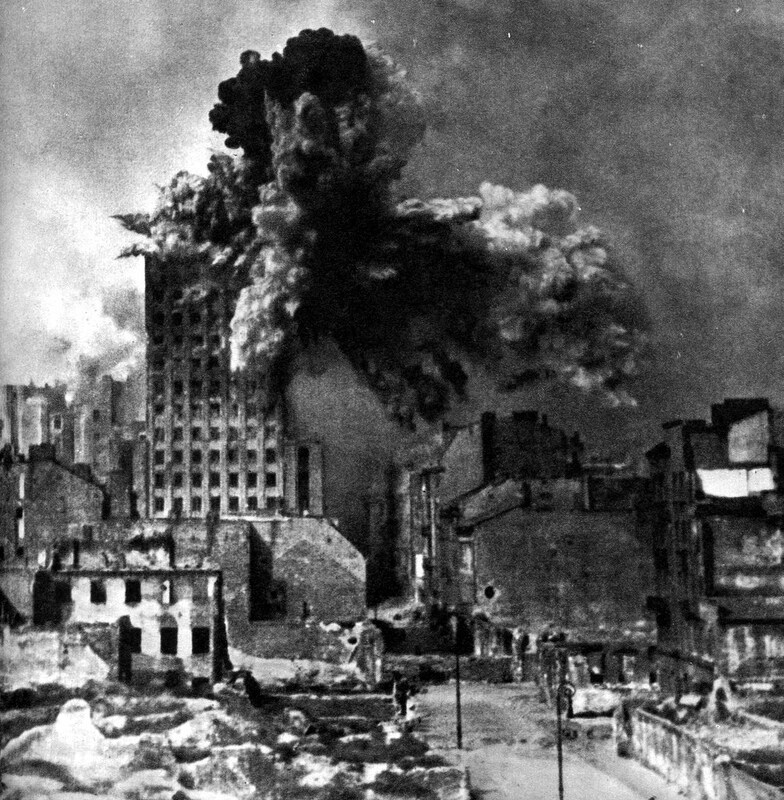 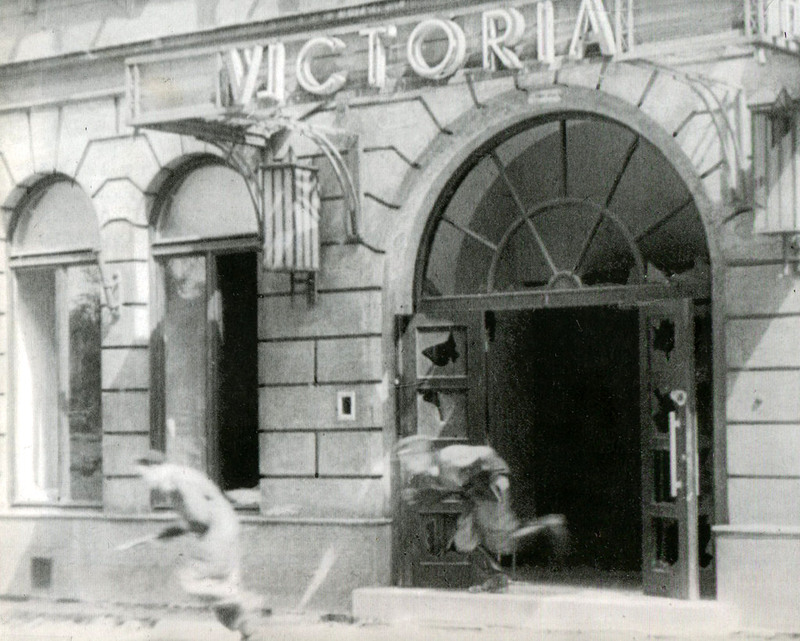 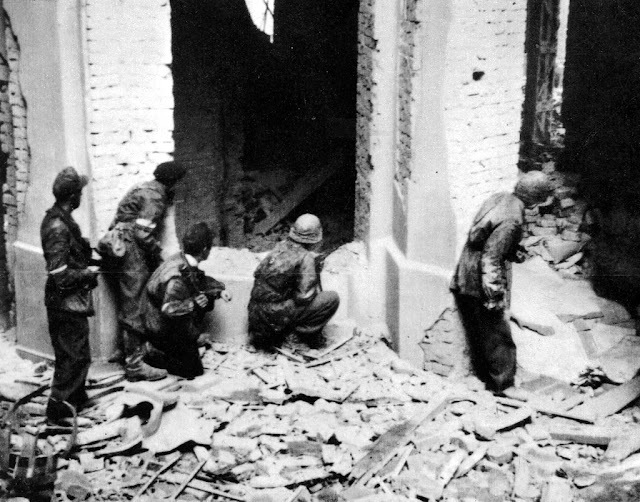 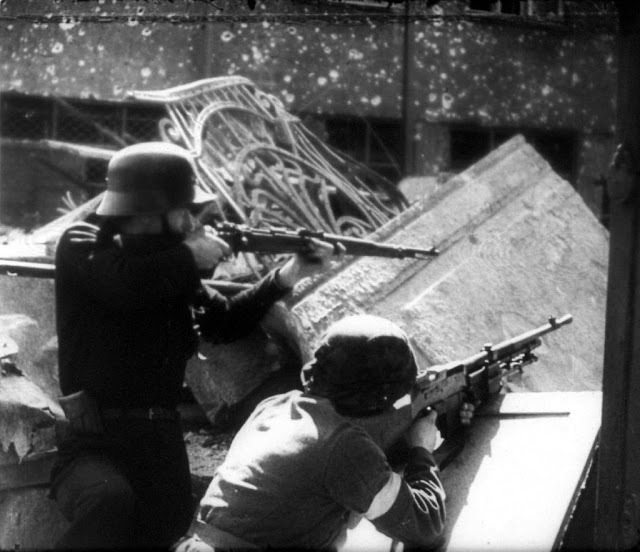 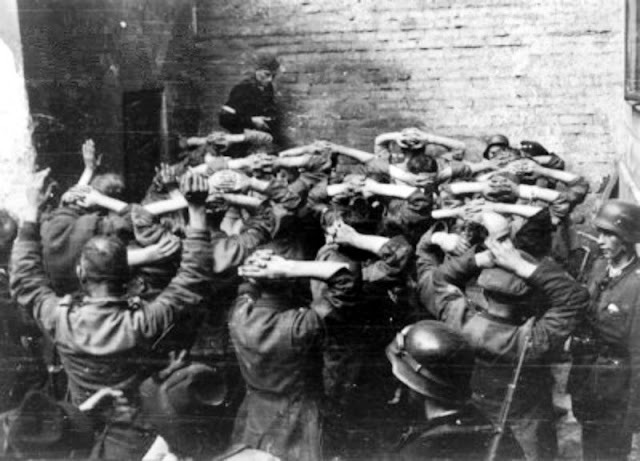 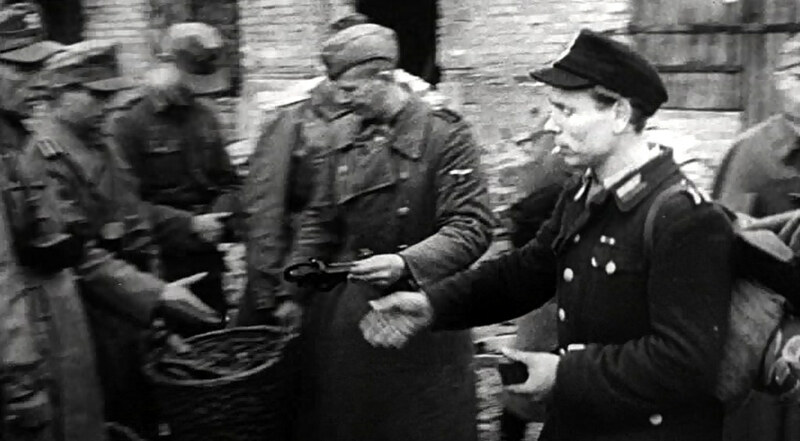 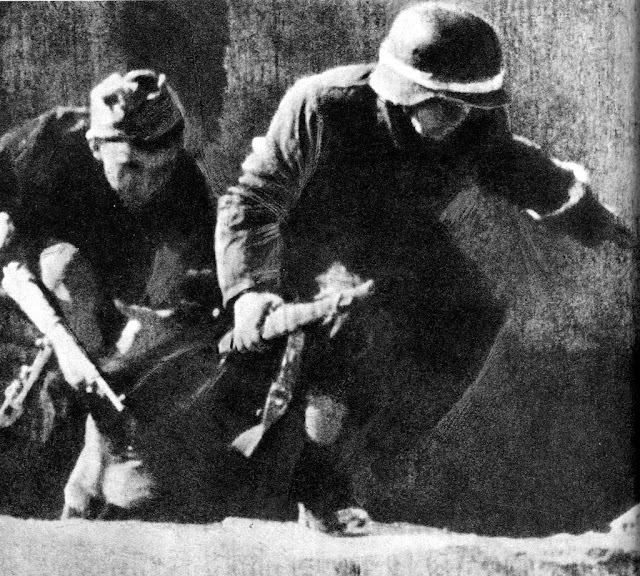 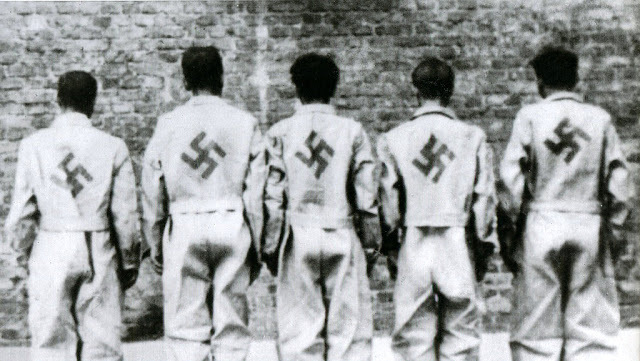 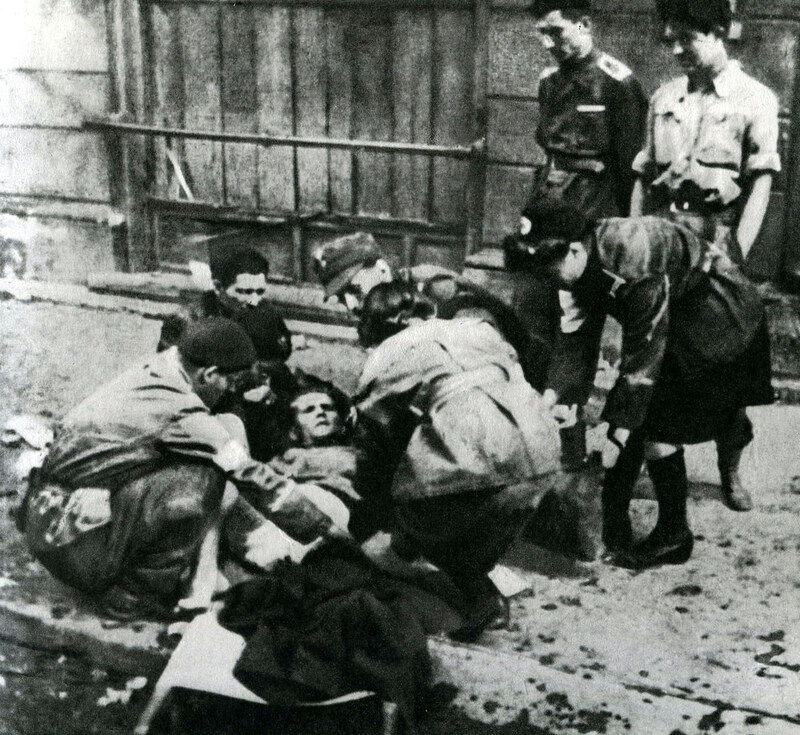 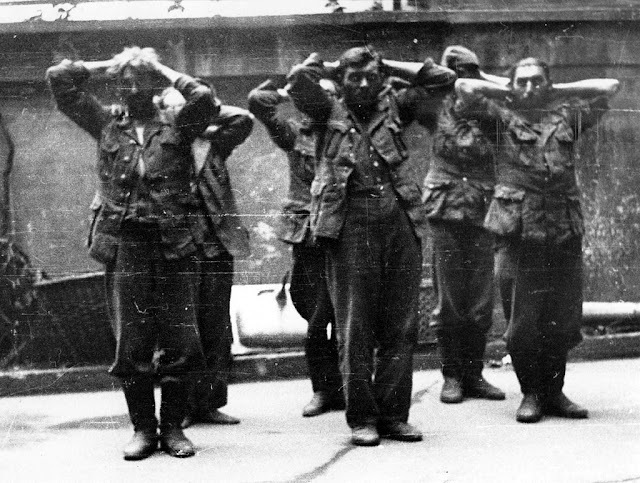 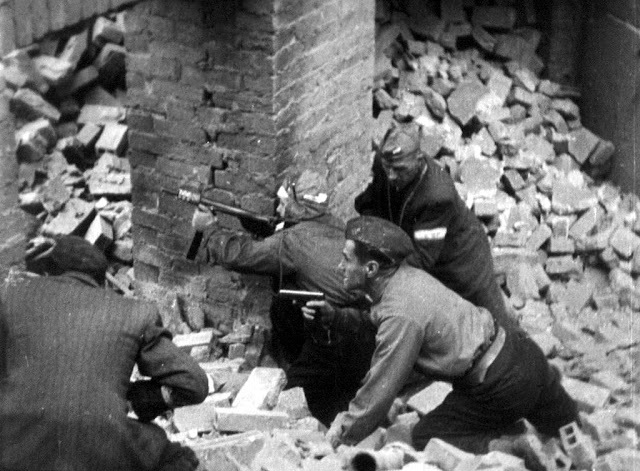 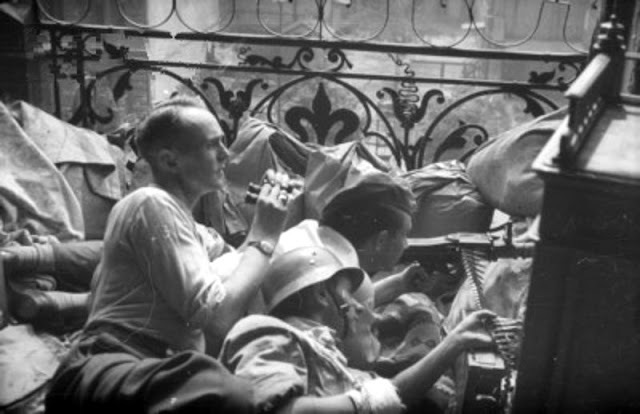 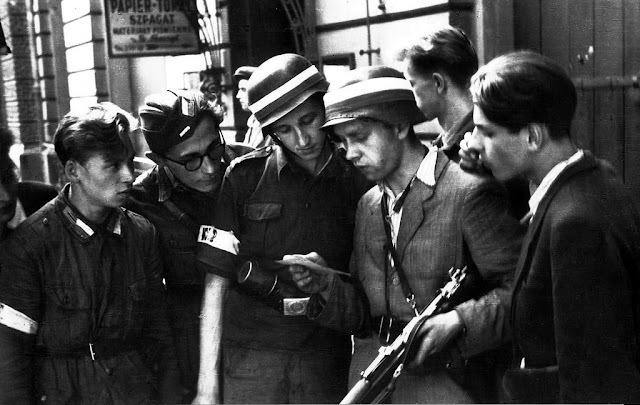 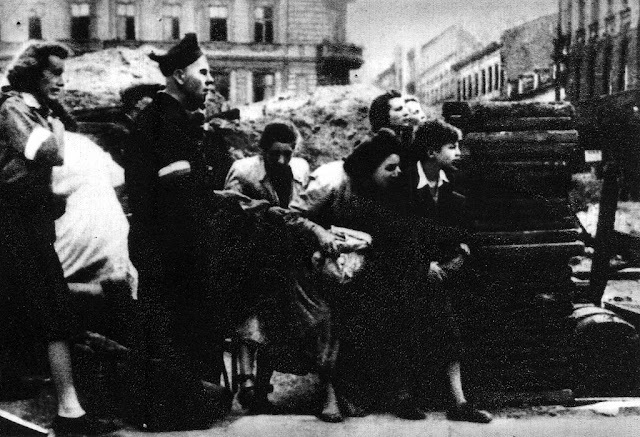 The Warsaw Uprising of 1944 – a heroic and tragic 63-day (1 August – 2 October 1944) struggle to liberate World War II Warsaw from Nazi/German occupation. 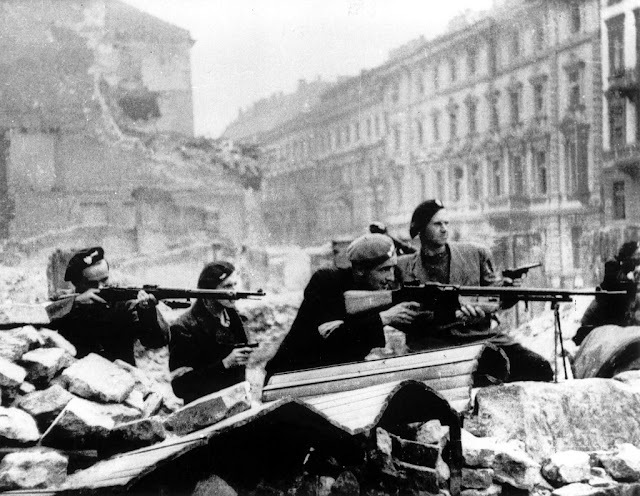 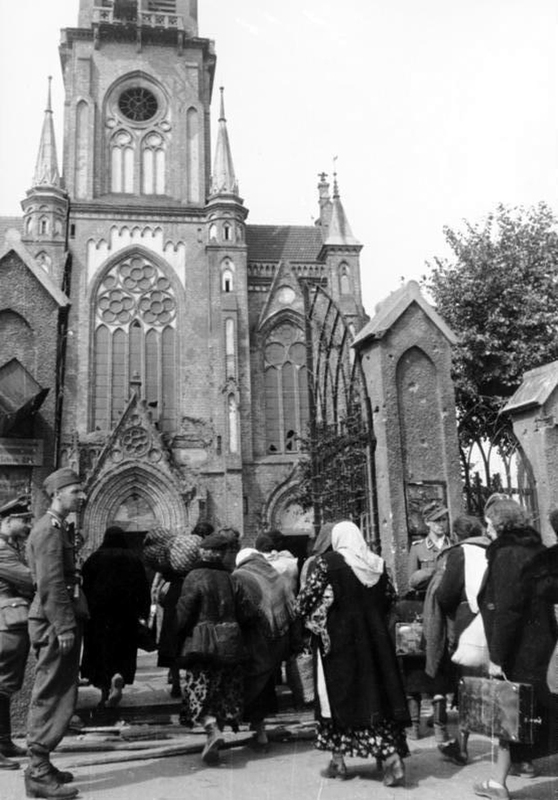 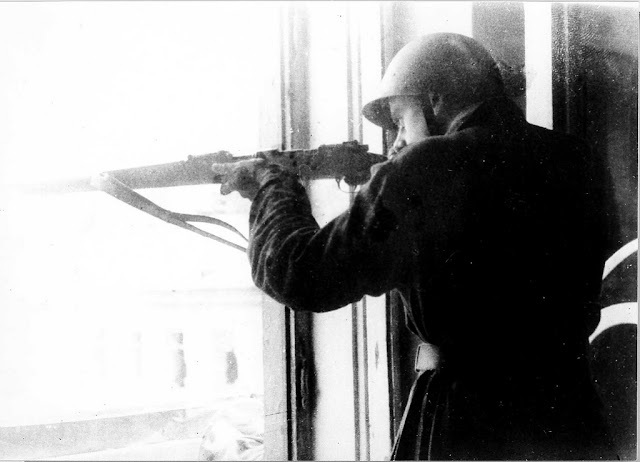 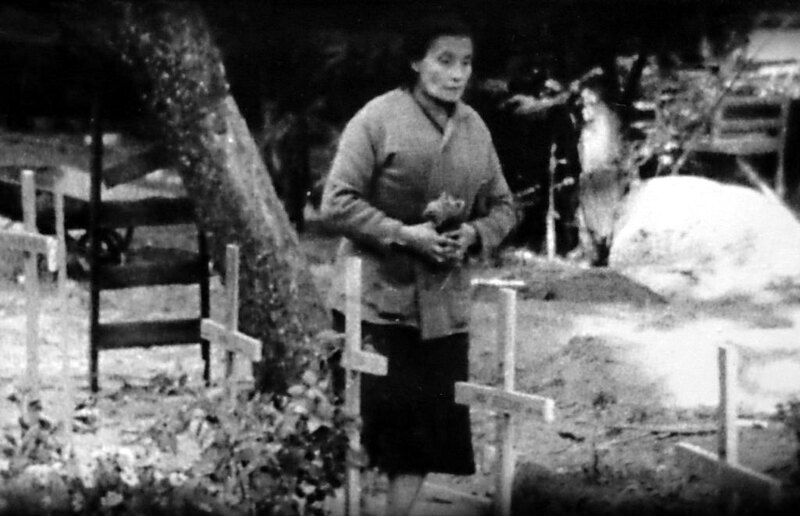 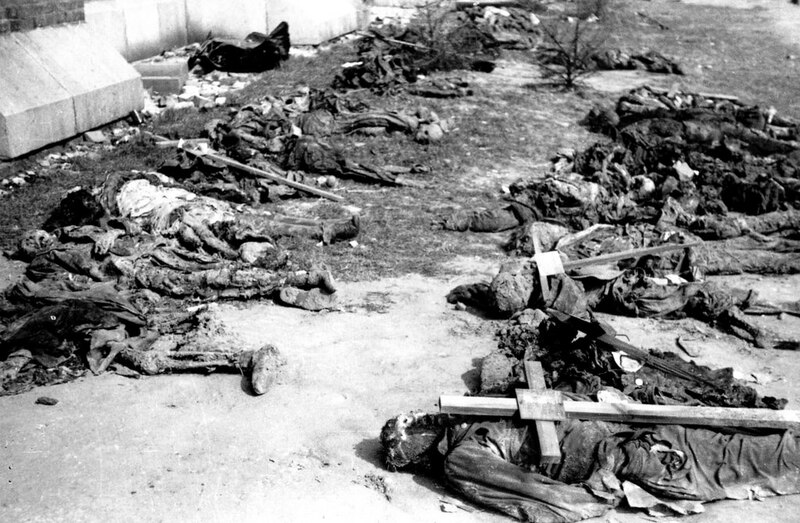 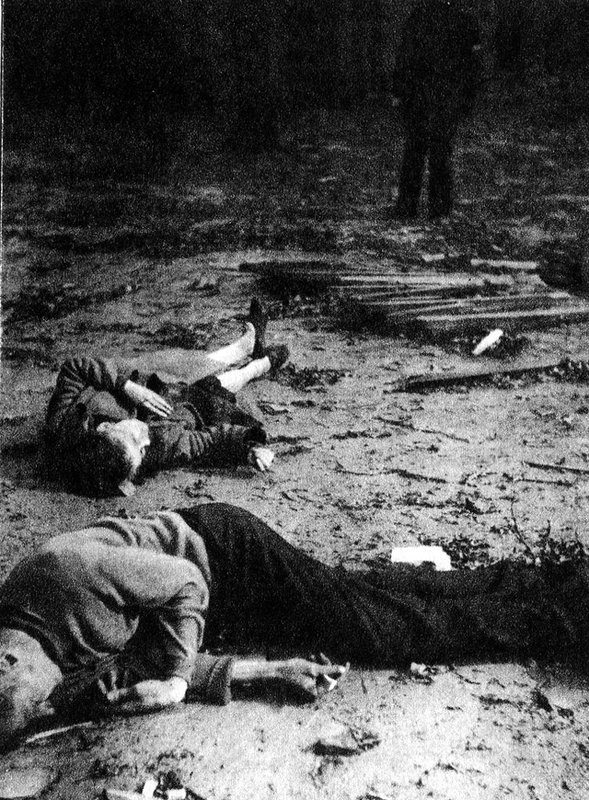 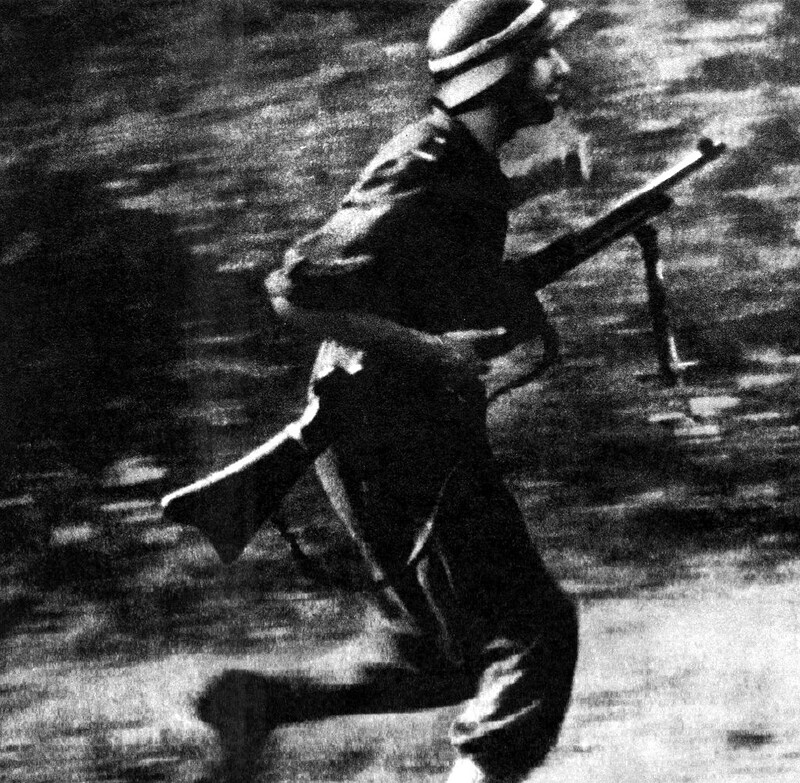 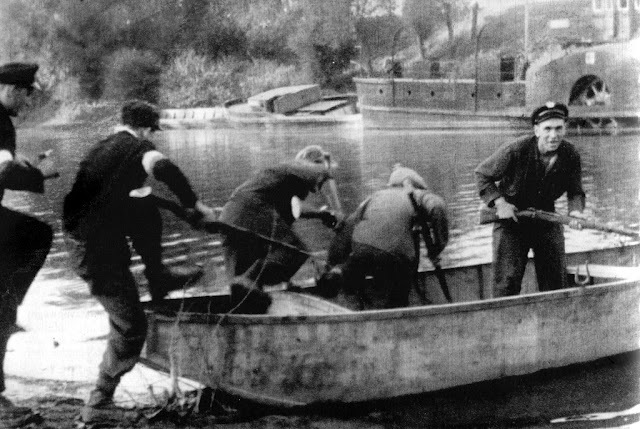 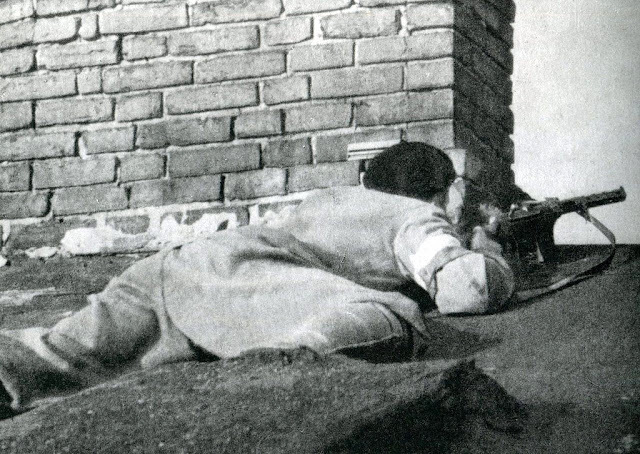 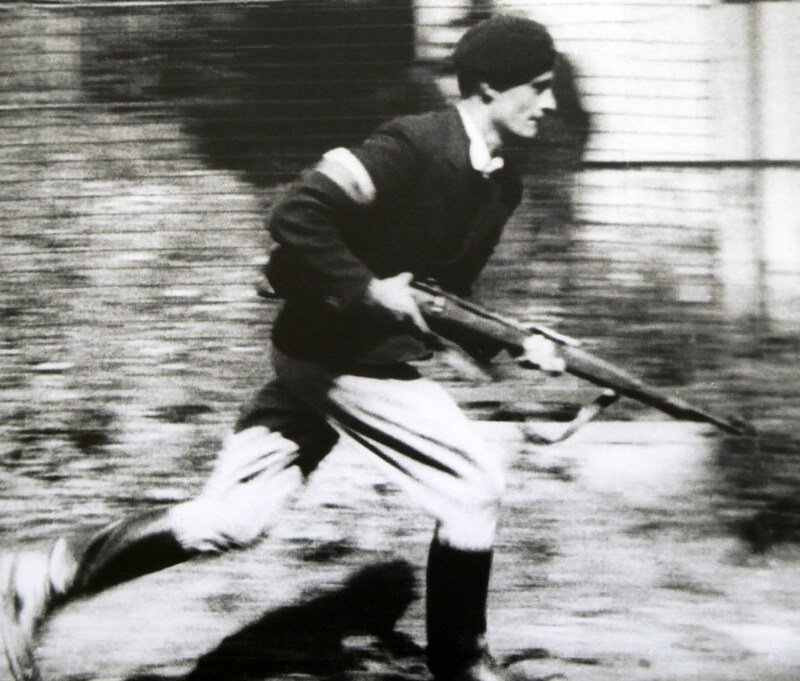 Undertaken by the Home Army (Armia Krajowa, AK), the Polish resistance movement, at the time Allied troops were breaking through the Normandy defenses and the Red Army was standing at the line of the Vistula River. 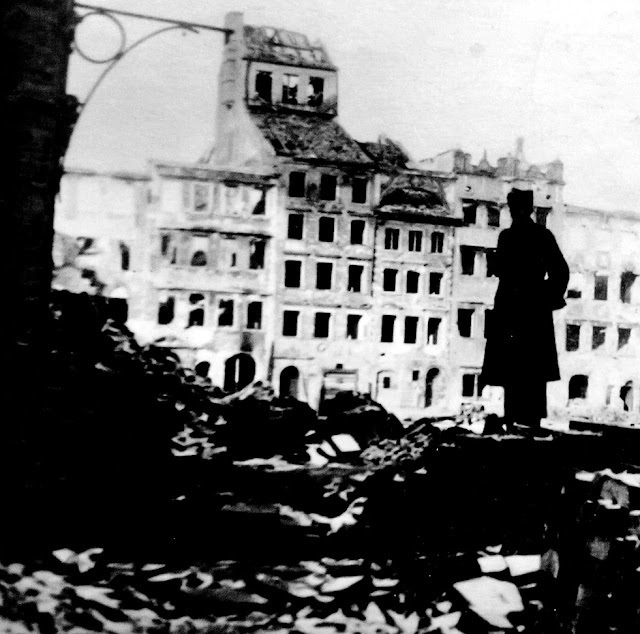 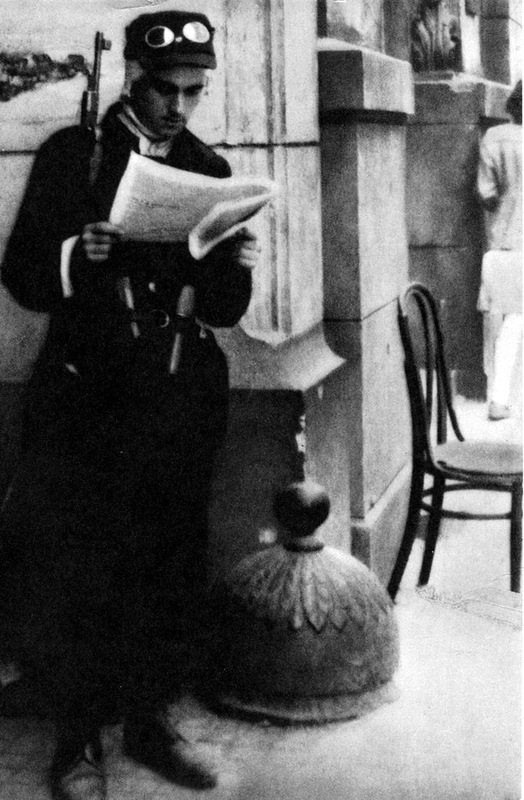 Warsaw could have been one of the first European capitals liberated; however, various military and political miscalculations, as well as global politics – played among Joseph Stalin, Winston Churchill and Franklin D. Roosevelt – turned the dice against it. 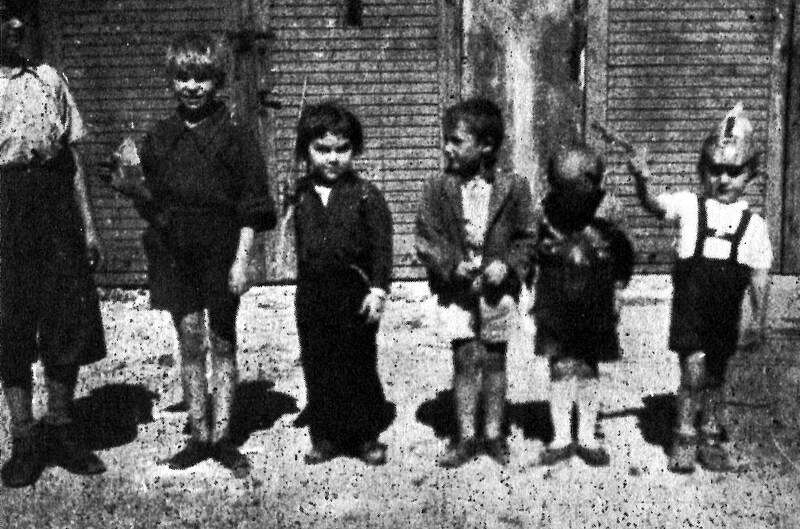 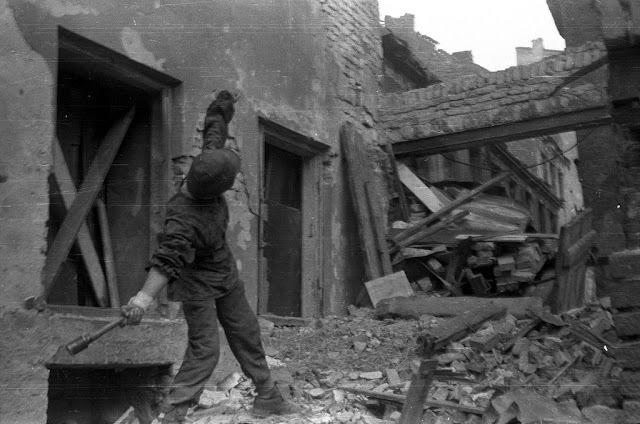 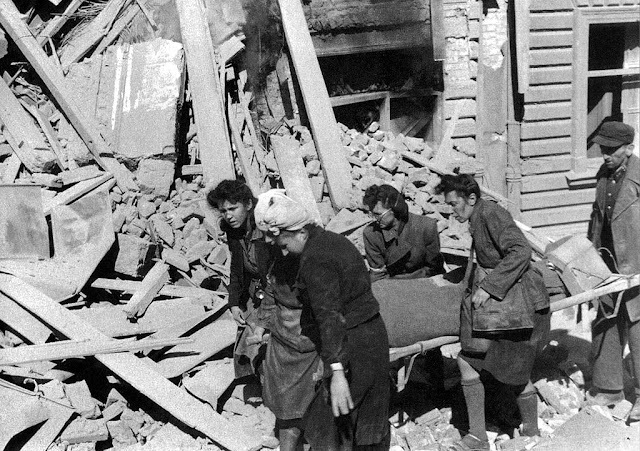 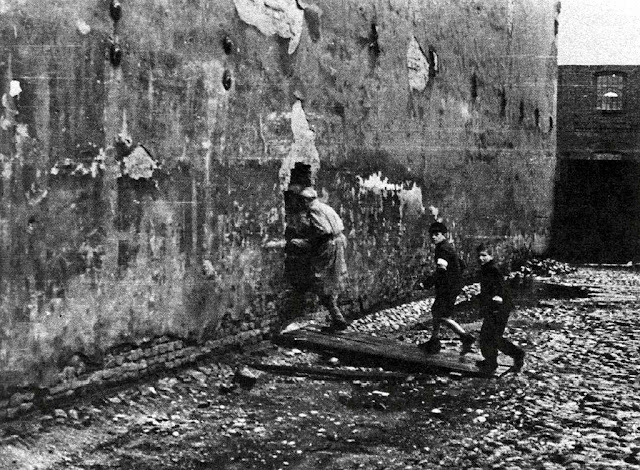 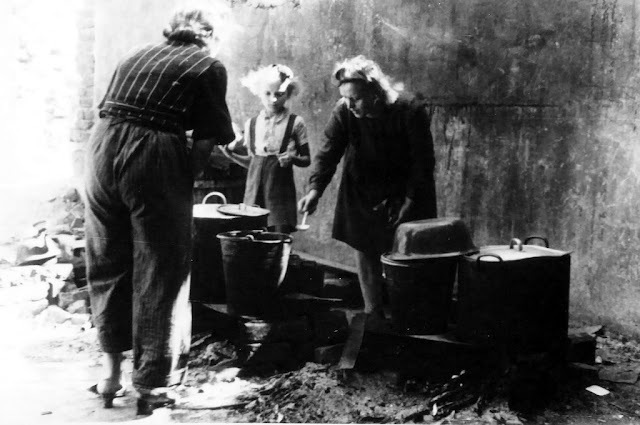 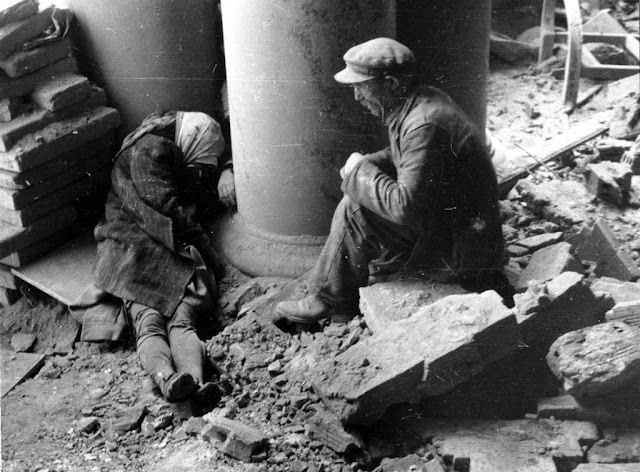 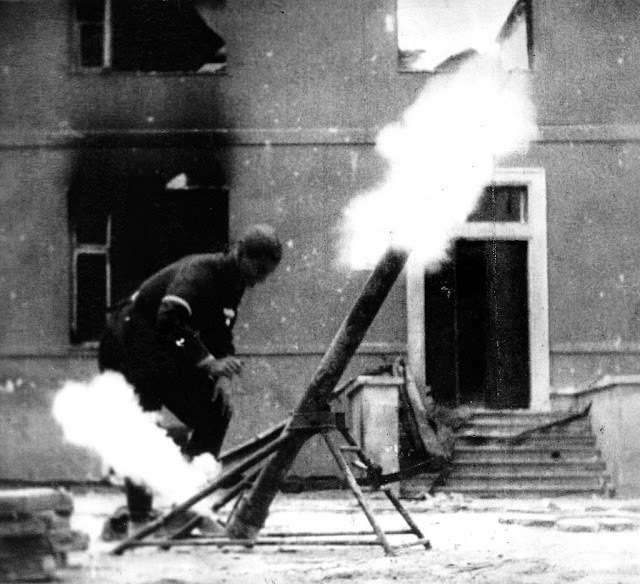 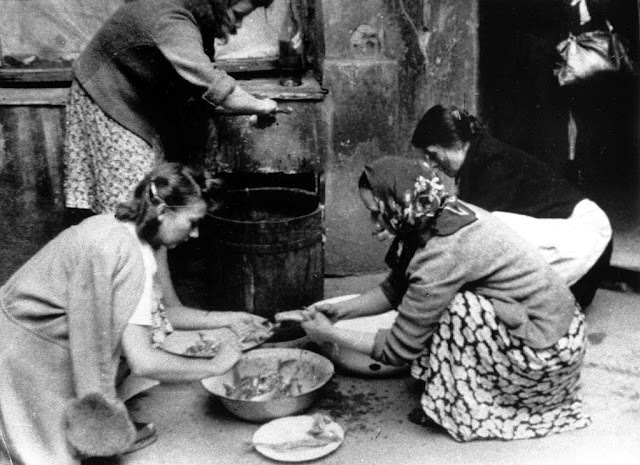 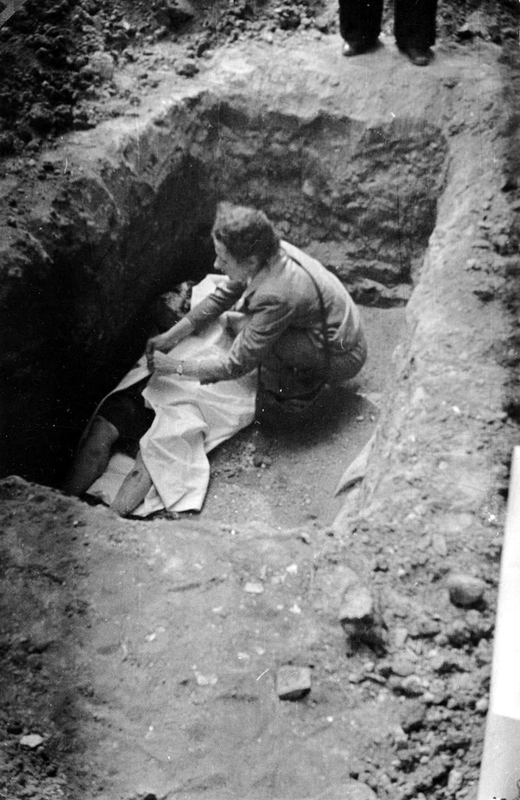 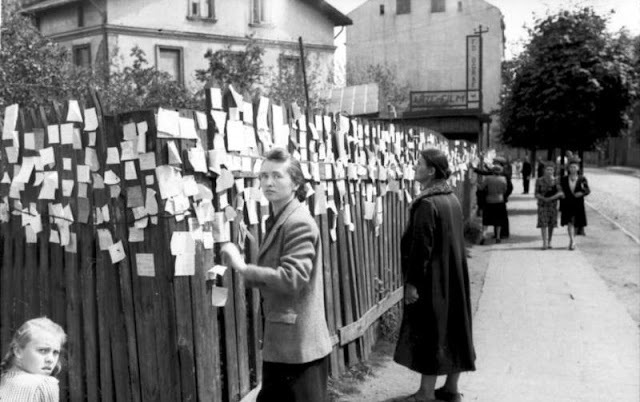 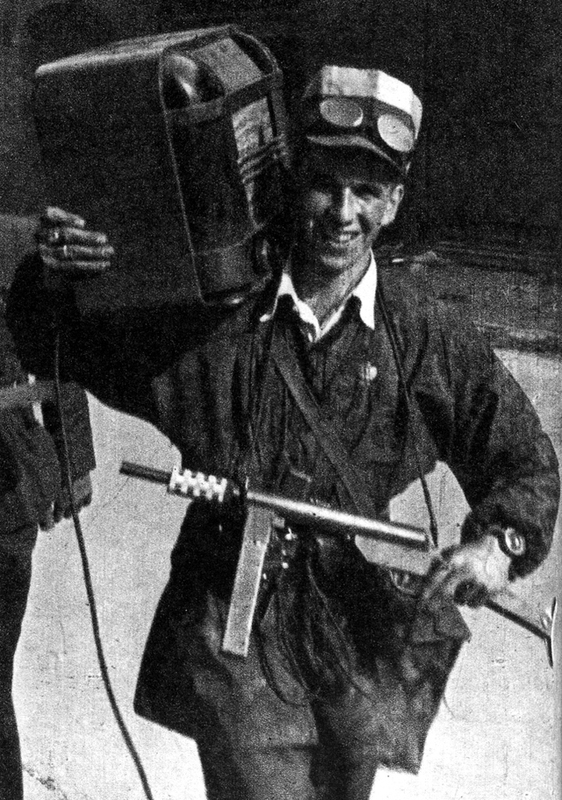 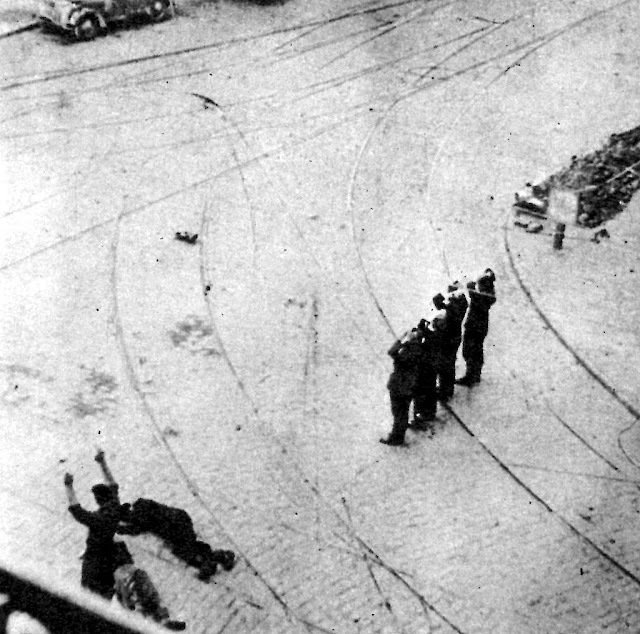 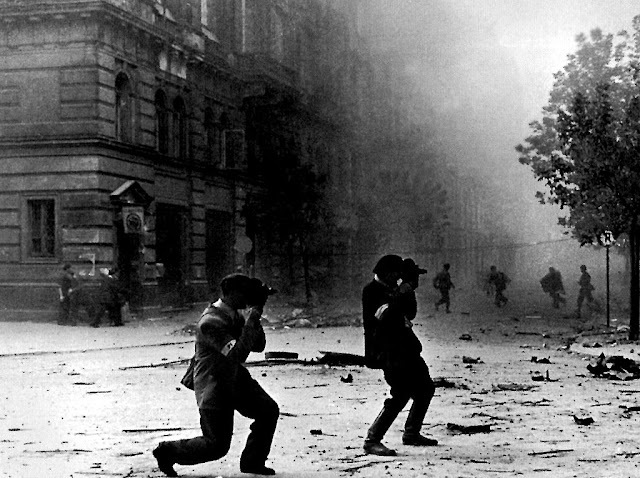 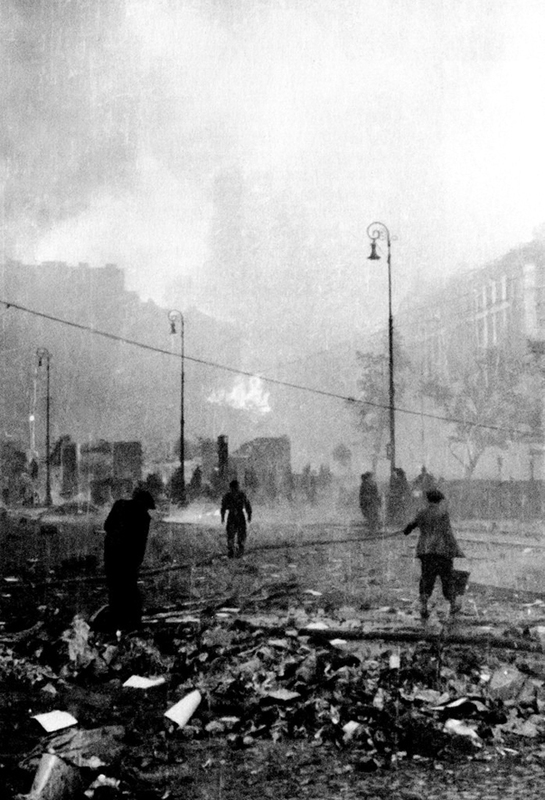 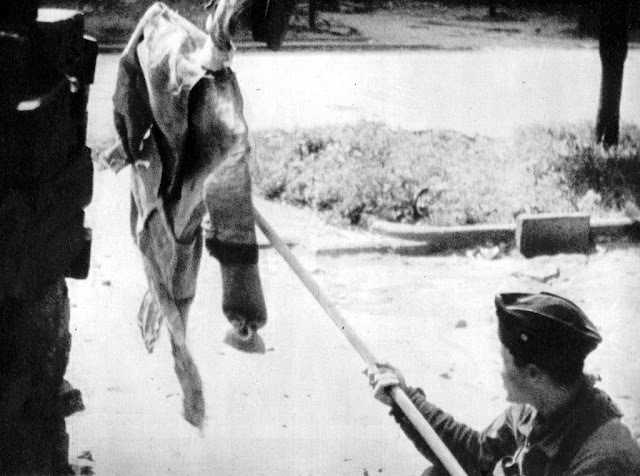 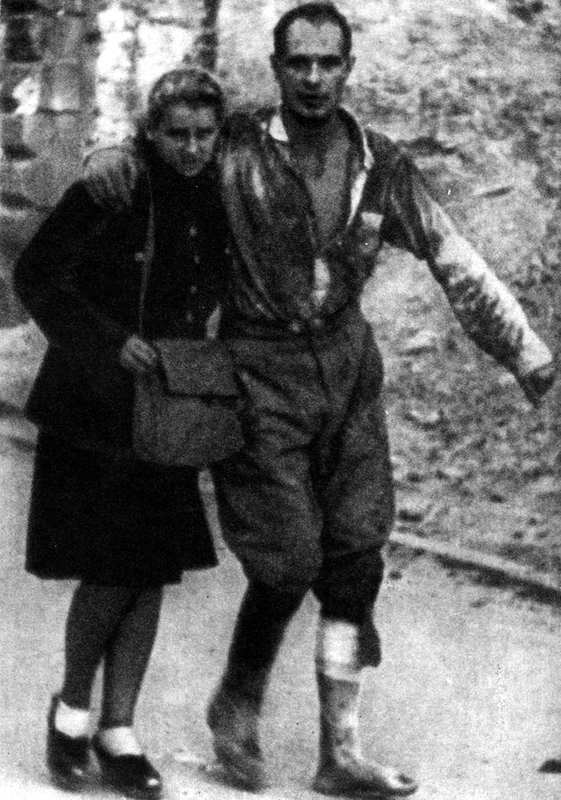 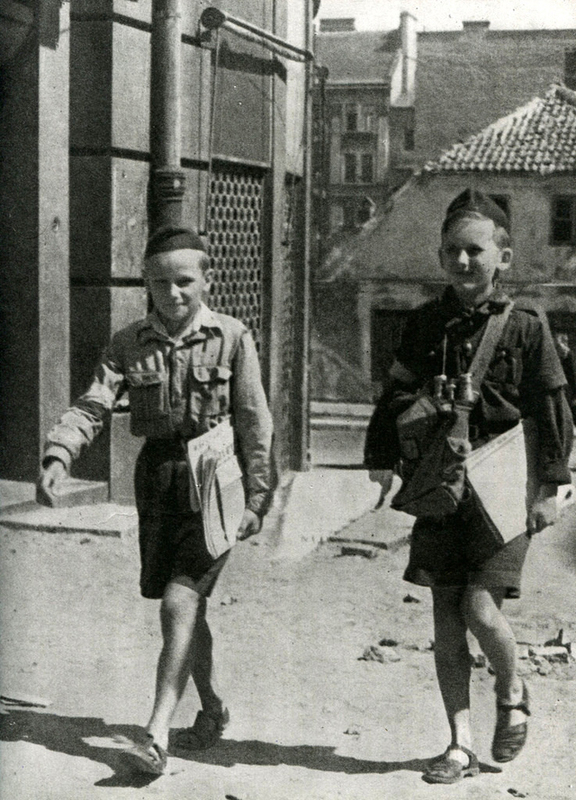 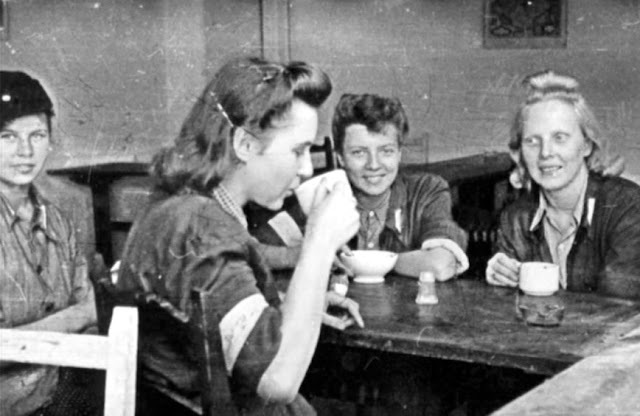 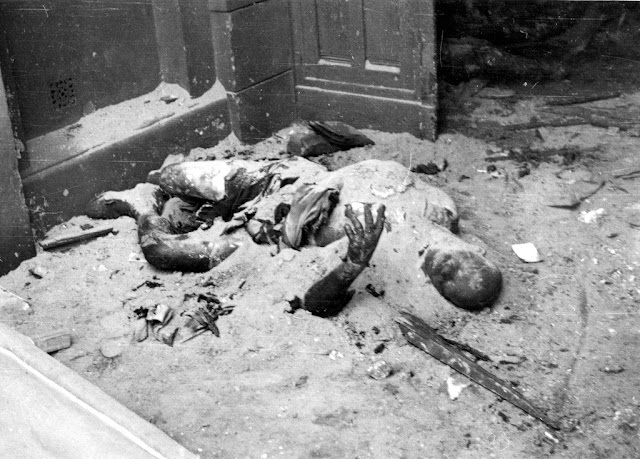 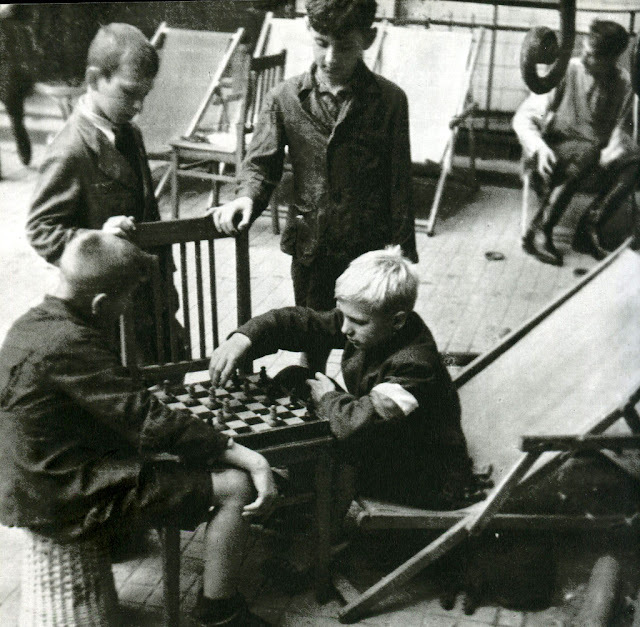 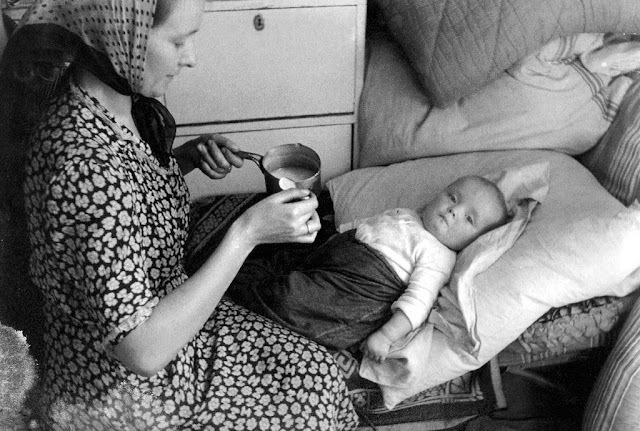 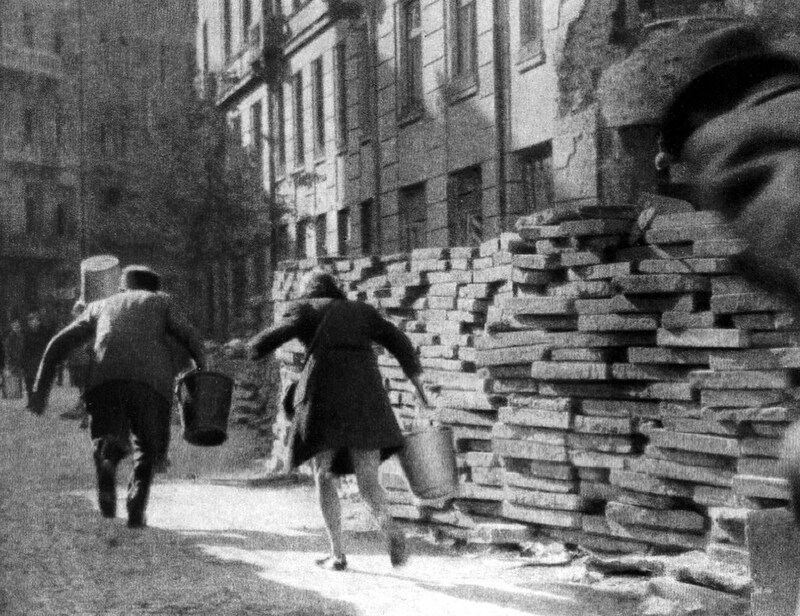 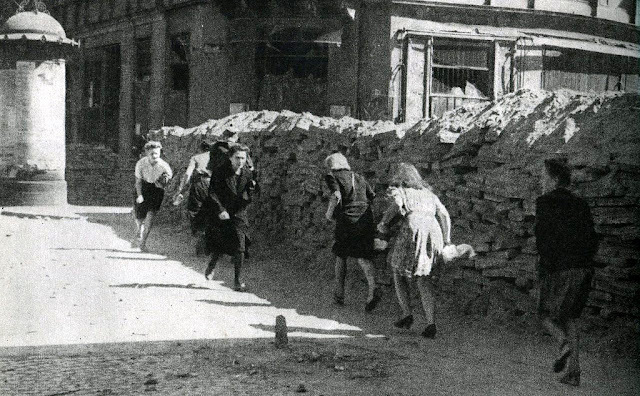 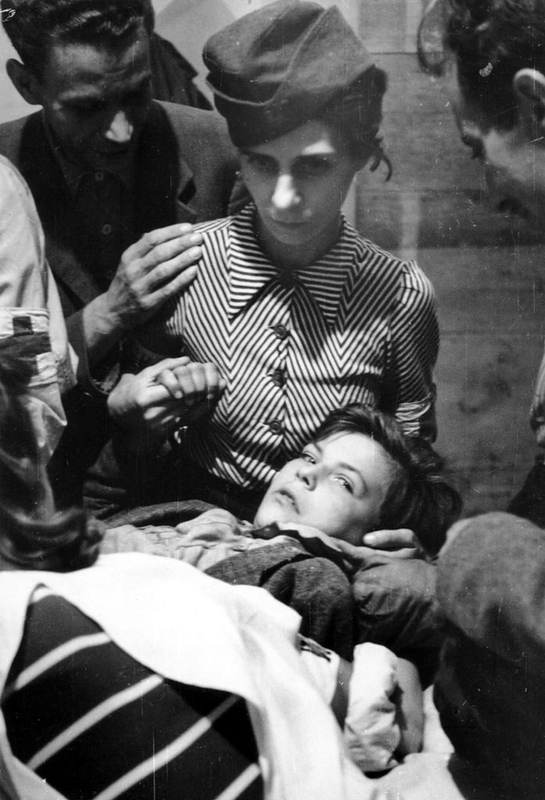 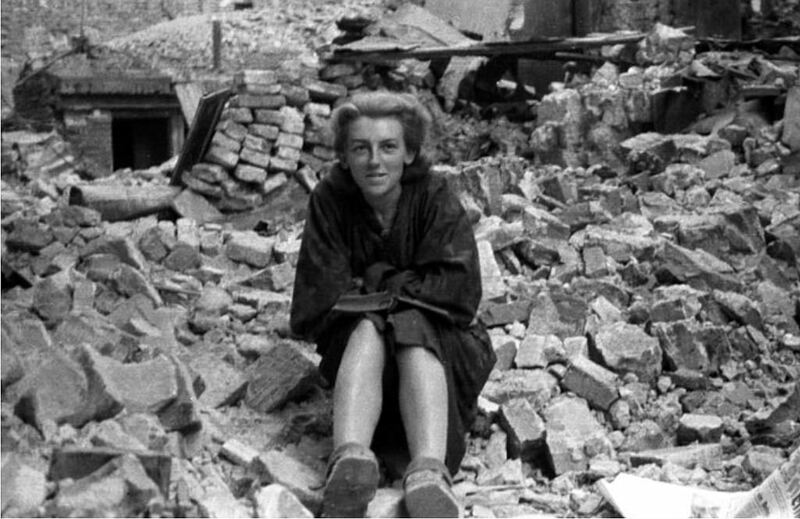 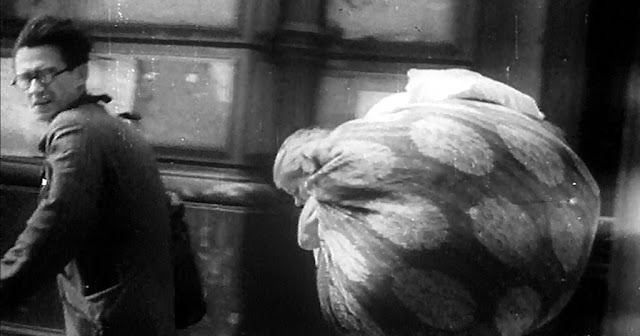 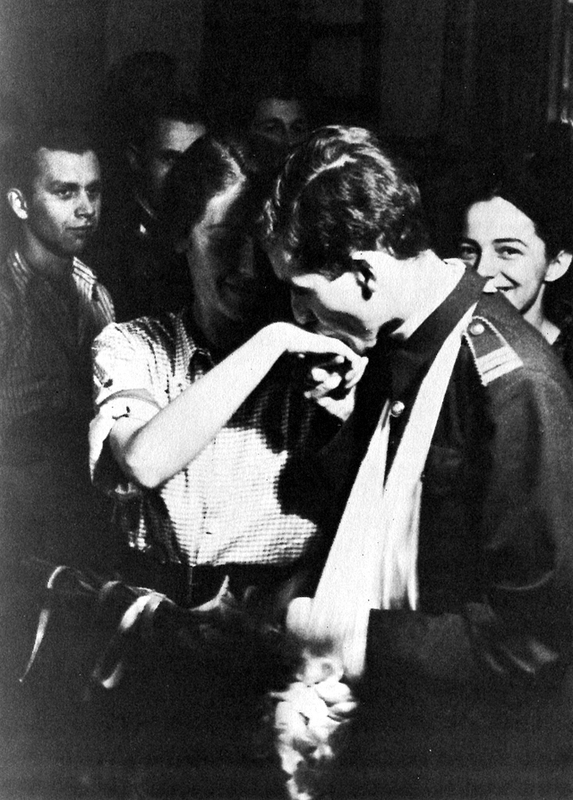 These breathtaking photos show a part of the fighting, also everyday life of Polish civilians during the Warsaw Uprising of 1944. 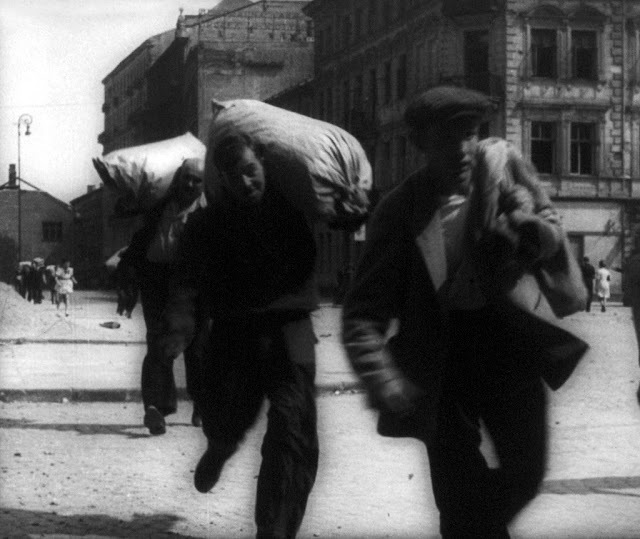 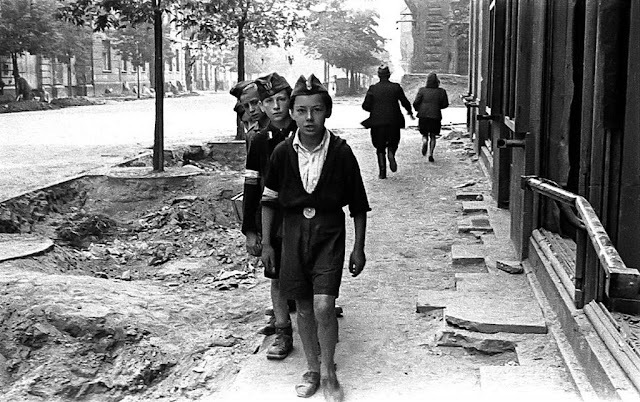 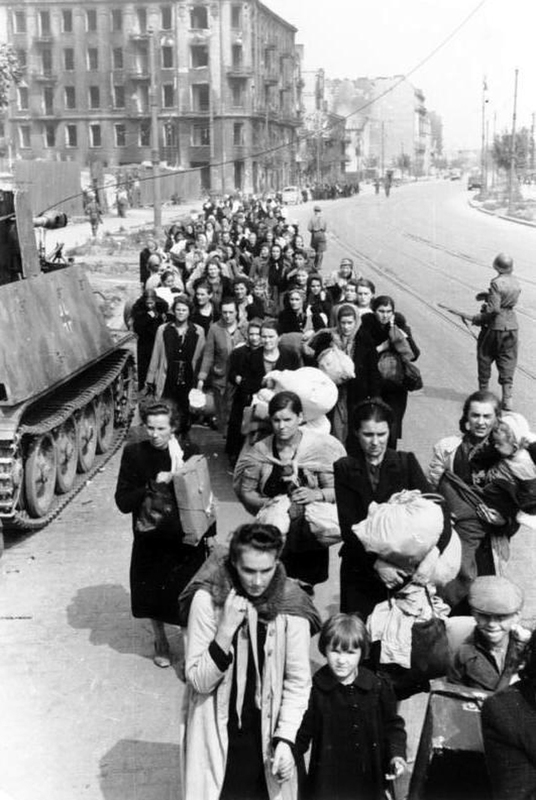 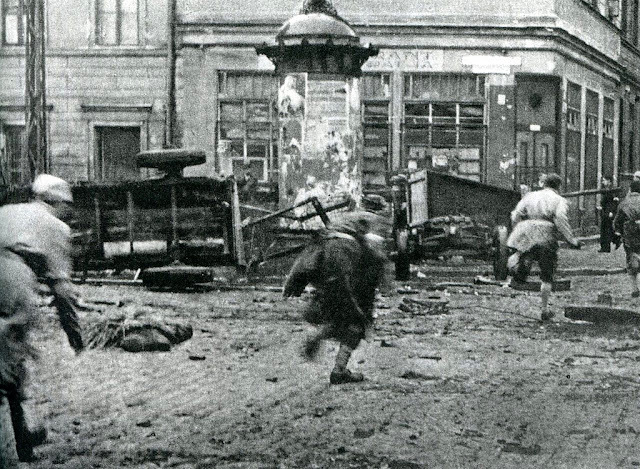 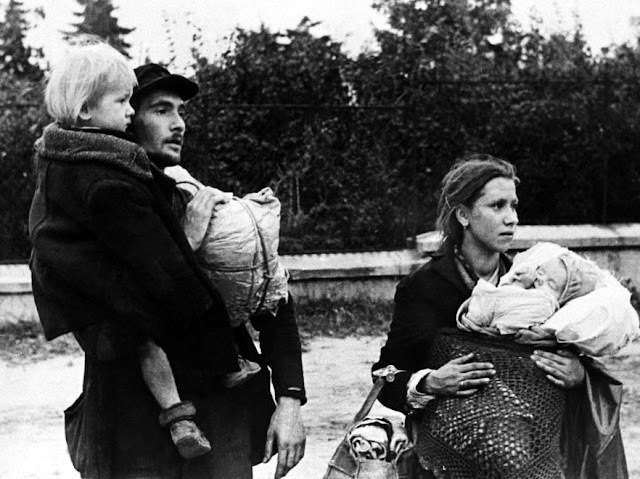 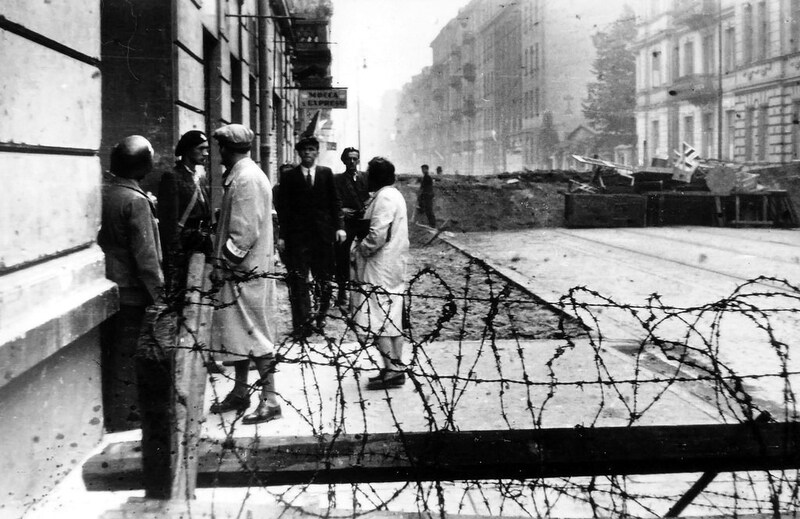 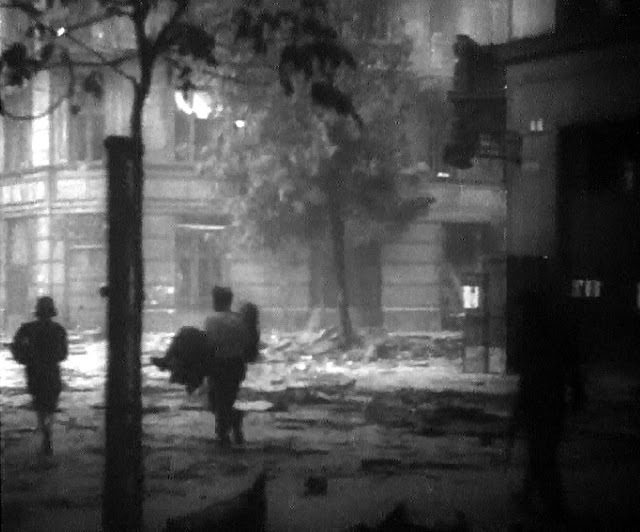 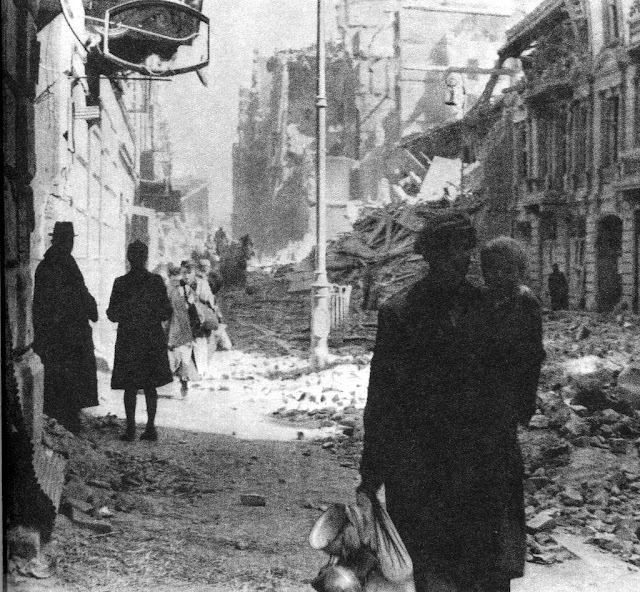 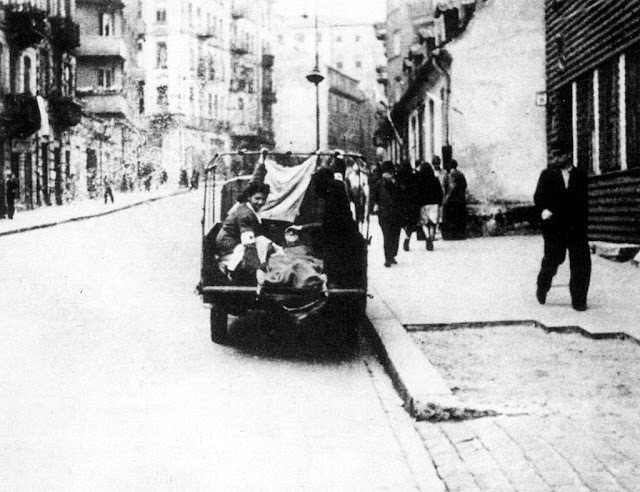 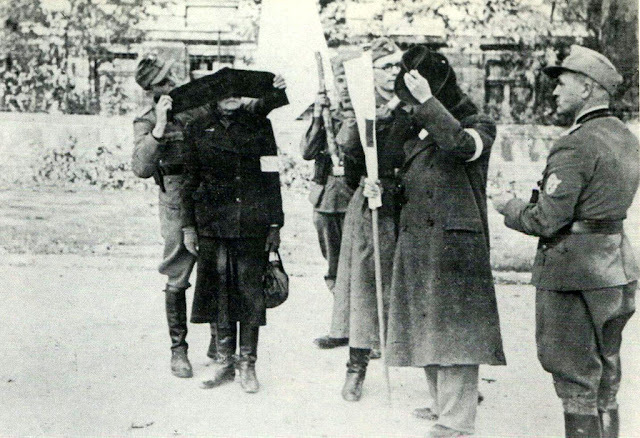 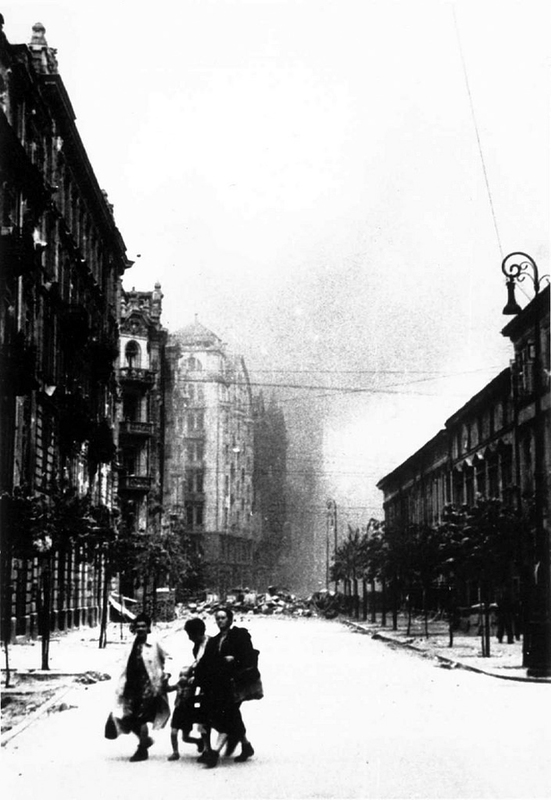 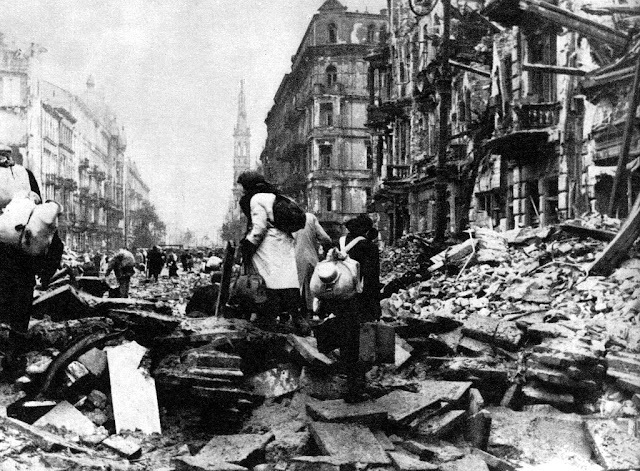 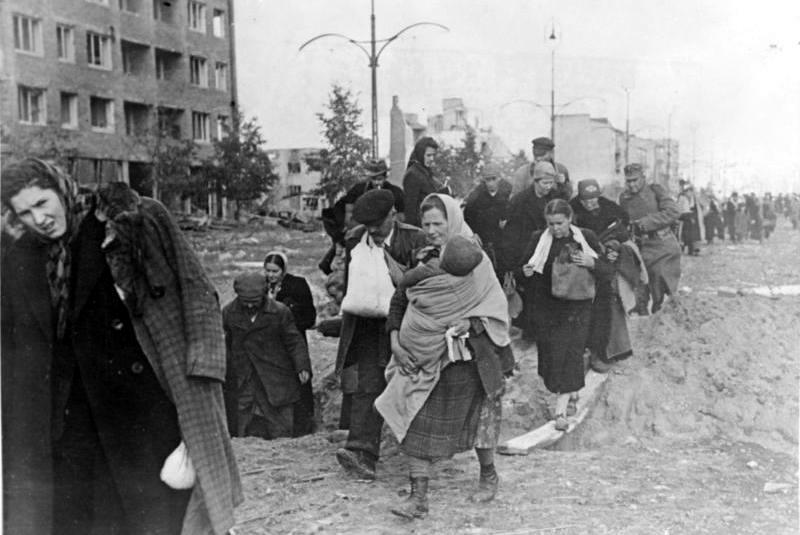 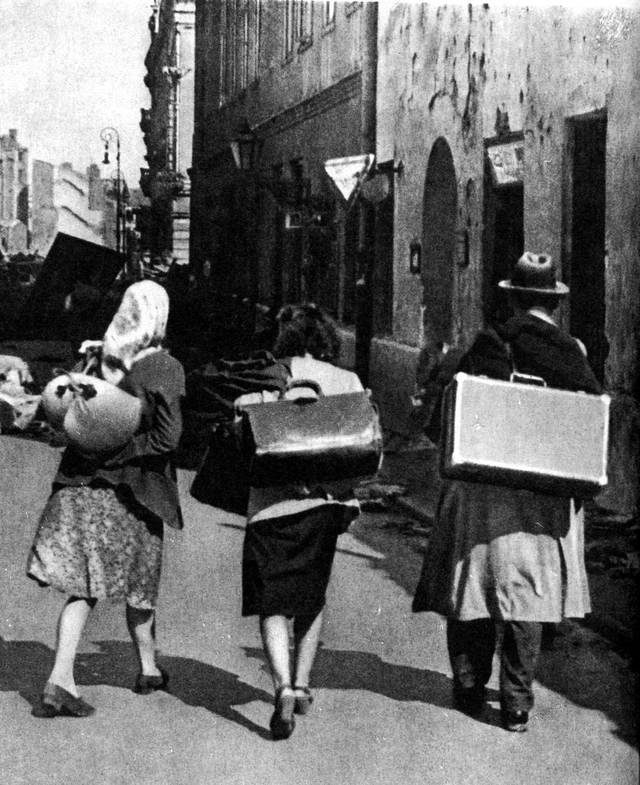 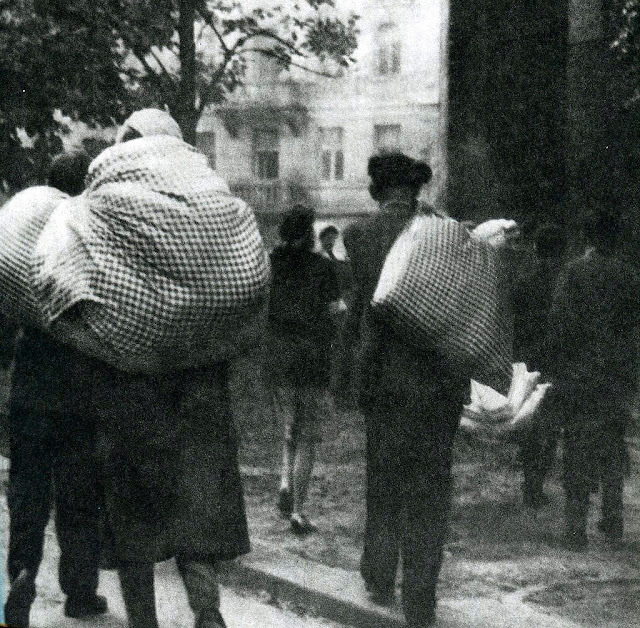 Citizens of Warsaw evacuating the city during the daytime ceasefire on the first 2 days of October 1944.